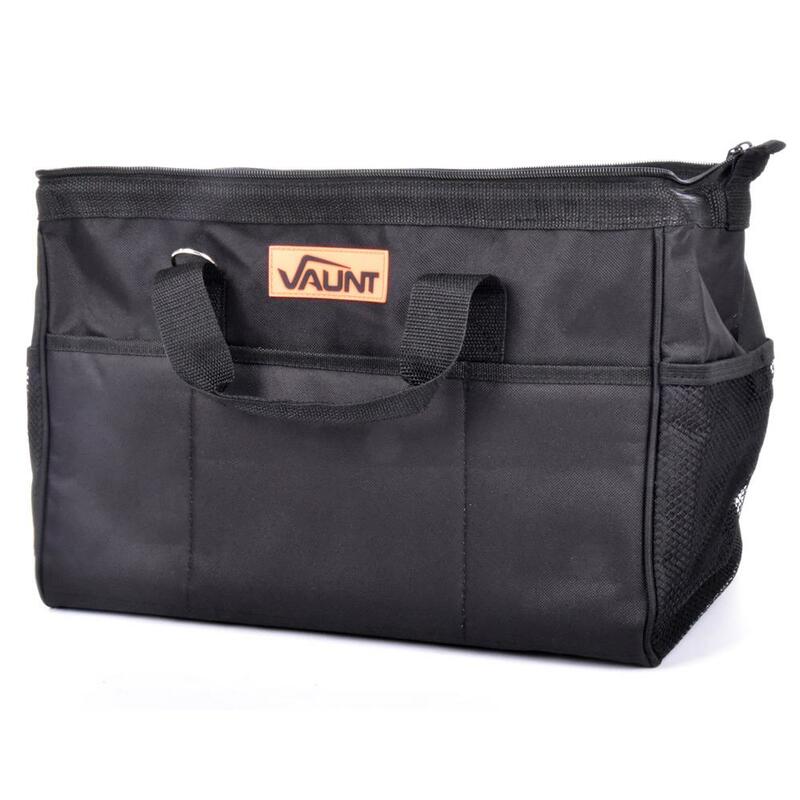 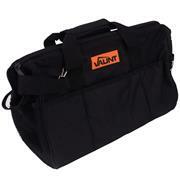 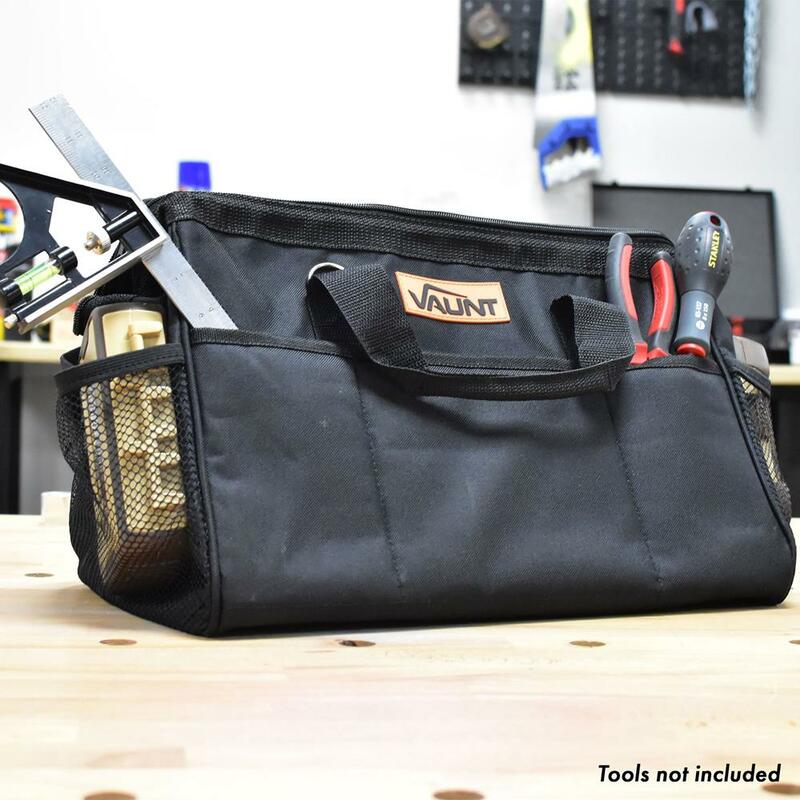 Wide opening tool bag with multiple internal and external pockets. Heavy duty zip fastening plus shoulder strap for easy transportation. 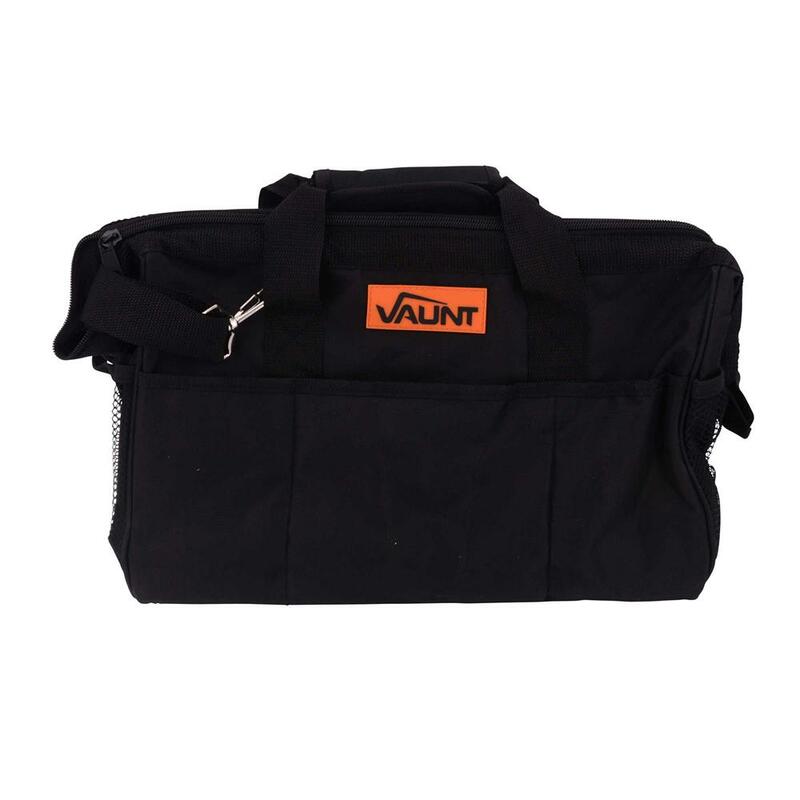 Strong double stitching and tear resistant material offer long life durability with impact absorbing rubber feet for all-round protection.